The Imo State Police Command has set up Bank Chain patrol squads to forestall the kind massive robbery onslaught on banks in Offa Kwara State, which took place a week ago. 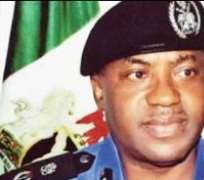 A robbery gang had on April 5 struck at the sleepy town of Offa, Kwara State, leaving behind a littany of dead bodies including nine policemen. The Imo State Commissioner of Police, Chris Ezike, said that the establishment was made of five squads and headed by a Superintendent of Police. He spoke in Owerri on Friday. Ezike said that the command did not want to be caught unawares by bank robbers, assuring the Nigerian bank customers that the state was safe for banking transactions. According to him, the operatives are specially trained to counter bank robbery operations and added that his command wanted to make sure that the state was water tight against all forms of crimes, including invasion of banks. He said, “We don't want what happened in Offa to happen here. We want to be proactive than reactive in Imo State. I have set up a squad known as Bank Chain patrol teams. They are made up of five teams. One squad led by a superintendent heads the team. Ezike said that the operatives were charged to liaise with bank managers to ensure that issues of security breach were swiftly combated. According to him, “The bank chain patrol teams were charged to liaise with bank managers to ensure that any suspected security breach is immediately taken care of. “To work with bank managers to curtail internal infractions and sabotage, they are to ensure that all Automated Teller Machine points, bank premises are free for transactions. The police commissioner said that he would said that he personally supervise the Bank Chain patrol teams to ensure a thorough job. It has been the observable pattern that armed robbers hit towns out of the capitals of different states, where they perceive the security to be less effective.